I made a Christmas Wreath! | Grow Your Own Veg Blog. Gardening and Food Blog. I made a Christmas Wreath! 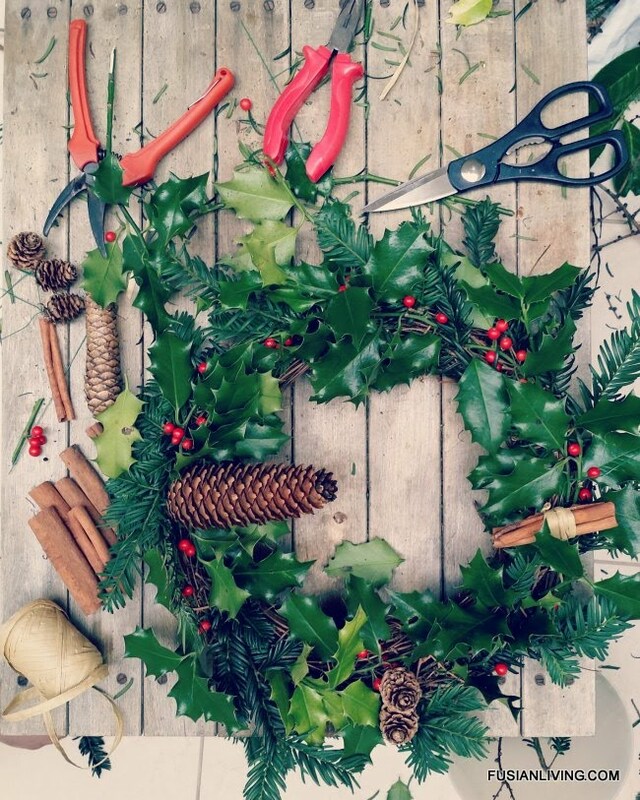 After foraging for cones, berries, decorative twigs and foliage from nearby woodland, I am attempting to make a Christmas wreath for our front door. and you will need secateurs and scissors. 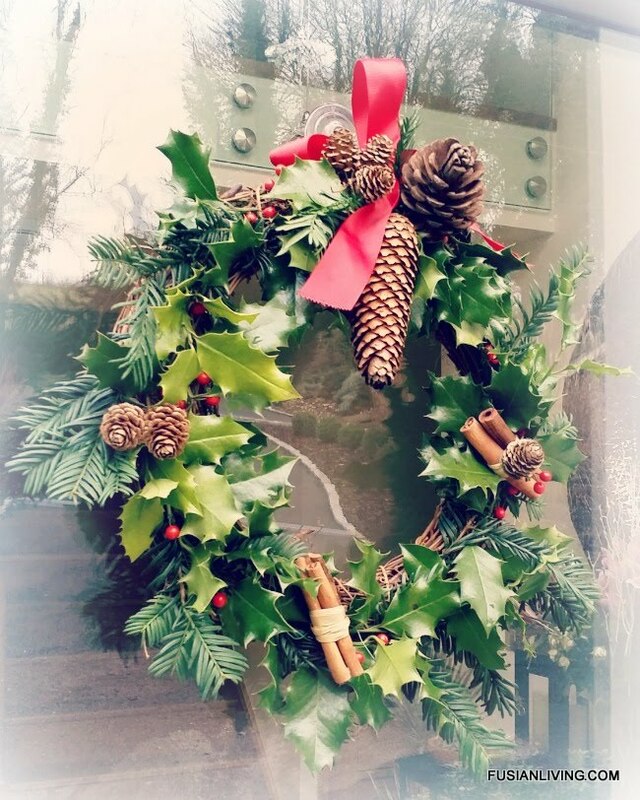 It is my first attempt making a Christmas wreath, so I'm no expert.... but it was a fun and easy thing to make. 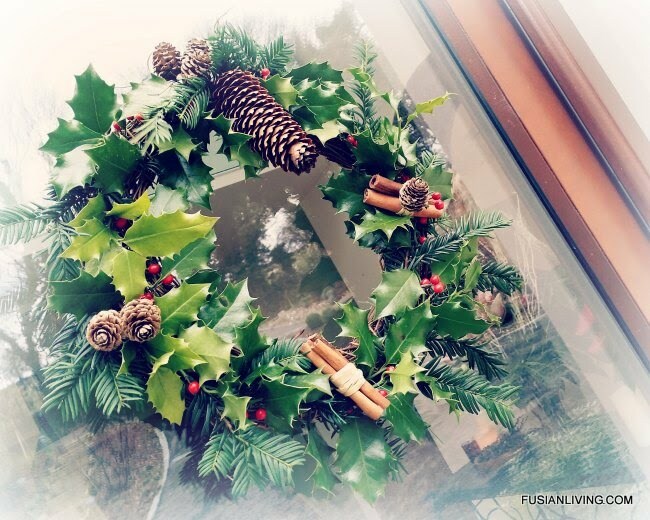 The sprigs of holly and foliage were tucked into the rattan wreath ring. The cinnamon sticks and cones were secured with florist wire and raffia.